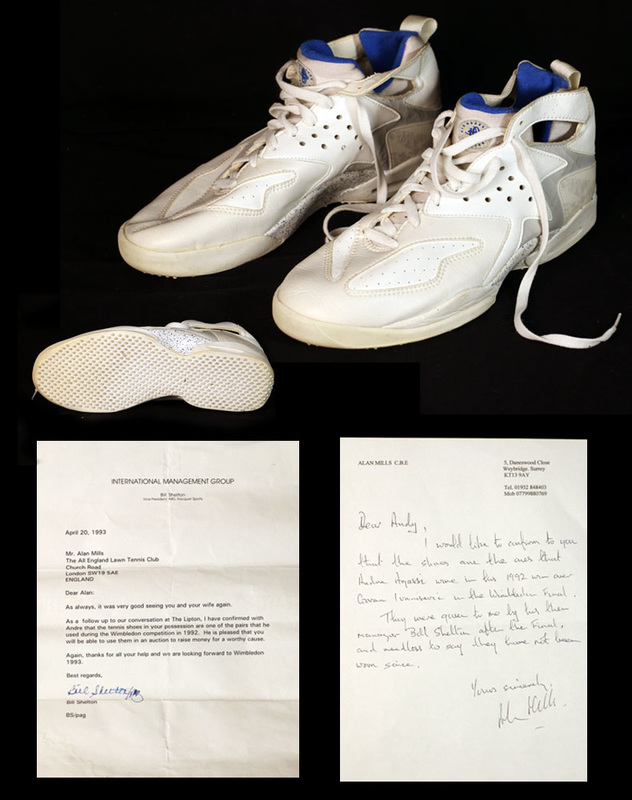 1992 Wimbledon Final worn shoes. 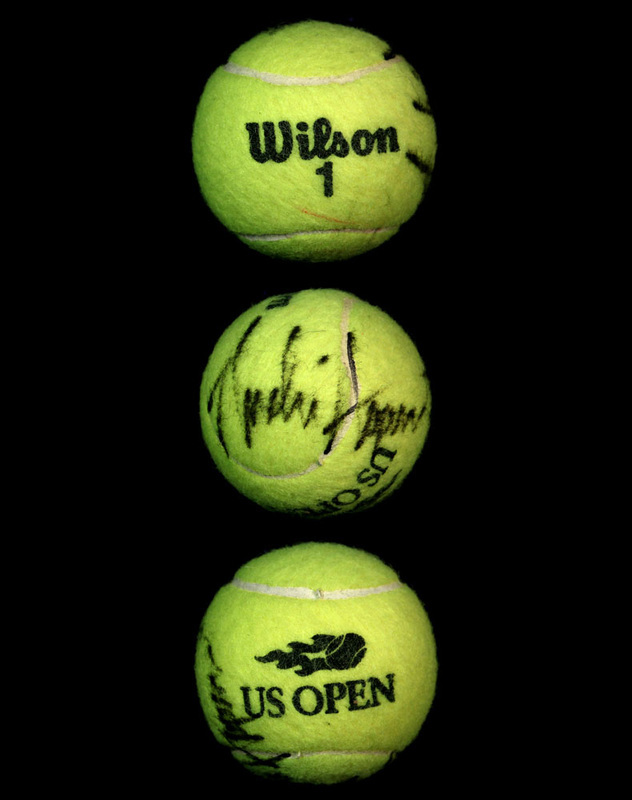 Win over Goran Ivanišević. 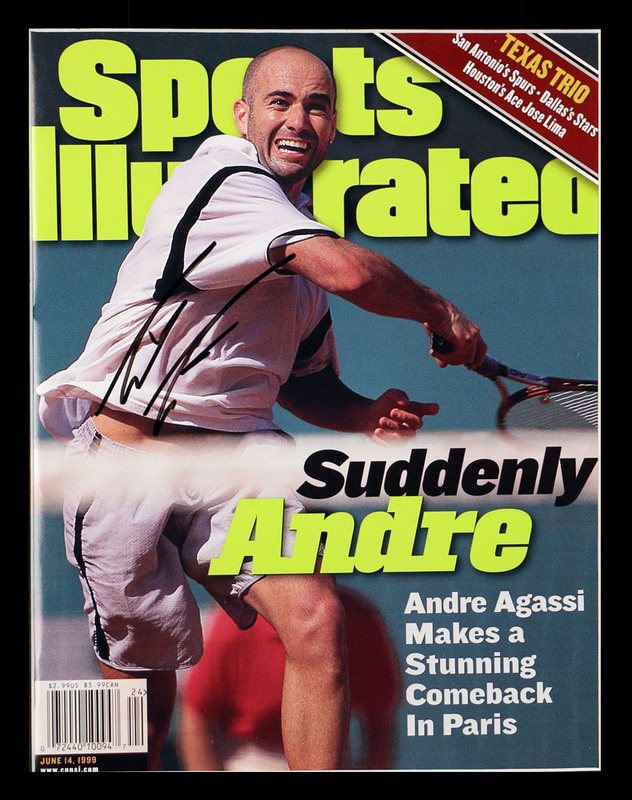 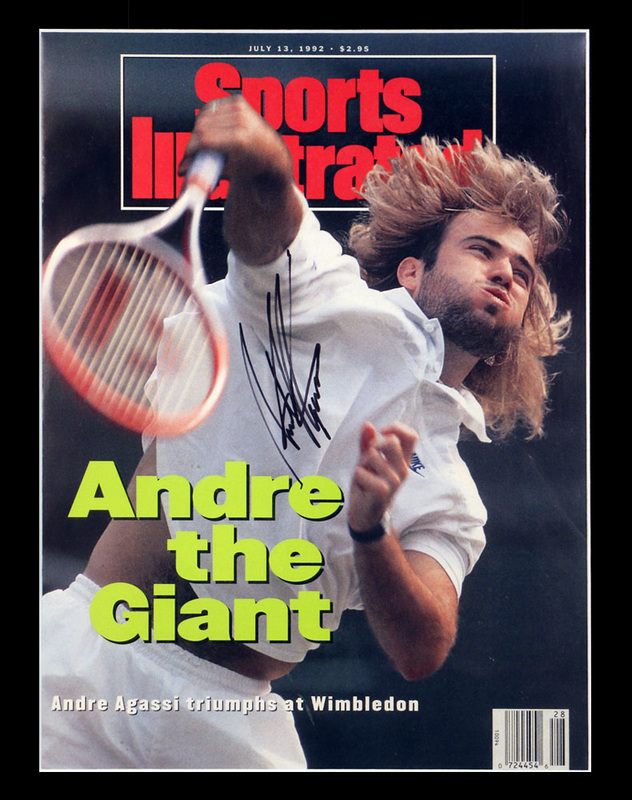 July 13, 1992 Sports Illustrated, signed. 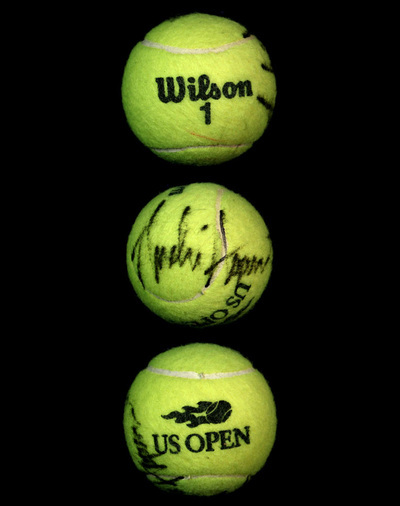 Official US Open tournament ball, signed.